Tony Quatrale was all smiles when he heard the news that he had just won free golf for the rest of his life. No more green fees. EVER! His prize includes unlimited access to golf at all ClubLink daily fee locations each year, for life. Tony is headed to Myrtle Beach for his annual winter off-season golf trip with his buddies, but he is looking forward to returning and getting an early start on the 2018 season. The Golf For Life contest ran all season long at participating ClubLink courses. Players received a scratch and win card to enter the contest for each round played. The more you played, the more chances of winning. 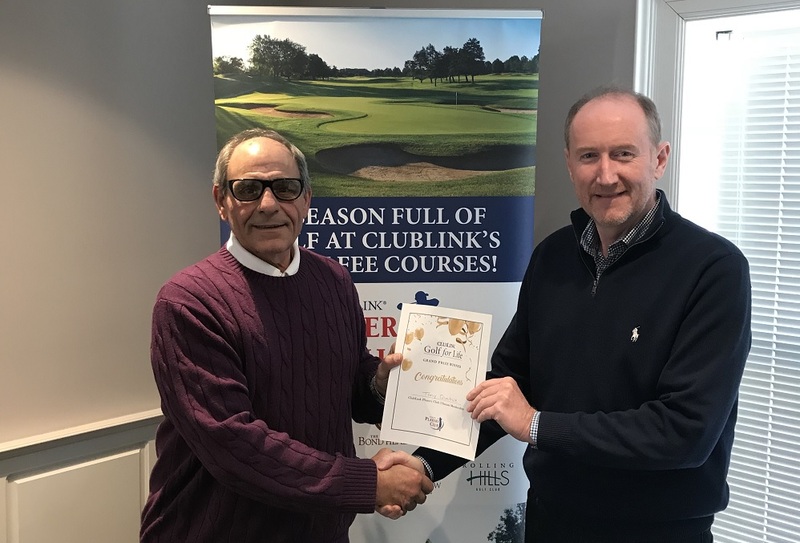 Weekly prizes were also awarded in the Golf For Life contest ranging from green fee passes, resort stays, 30-day preview memberships, Players Club memberships and gift cards. Stay tuned for the 2018 Golf For Life contest coming soon!